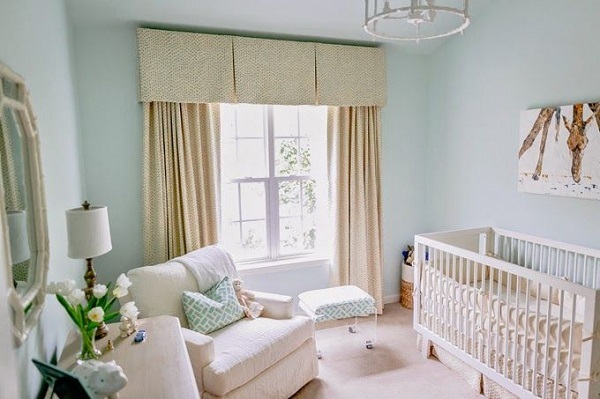 With the second royal baby of Kate and Prince William arriving any second, I felt it was a proper time to pause and discuss nursery and kid's rooms. Because I know my mom reads my blog every day and because I know she will soon text me and ask, no, I am not pregnant! I just happen to enjoy a well-designed nursery. And speaking of well-designed, how gorgeous is this serene space created by Ashley Goforth? I love everything from the soothing wall color, to the Chelsea Editions table skirt, to the Greek Key trim design on the cornice. I almost never see a table skirt I actually like and don't think looks dated, but Ashley did a great job on this one. I think the larger buffalo check feels a bit more contemporary than smaller plaid patterns would. 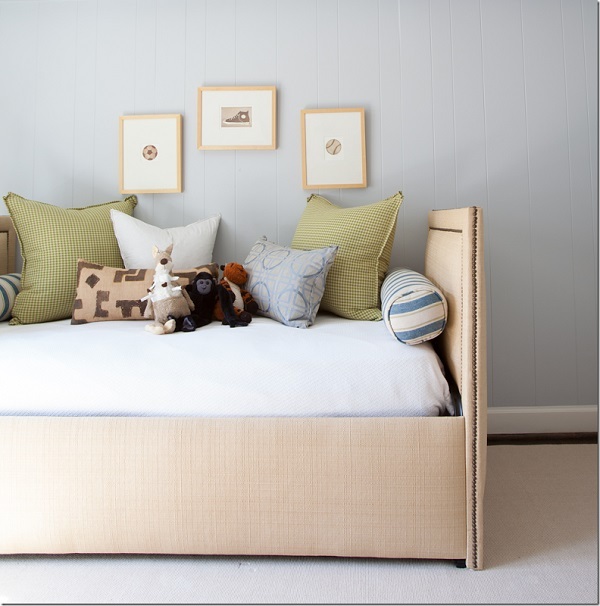 This daybed does feature an upholstered back, and a convenient side table that can be pulled up to use as a nightstand while sleeping. 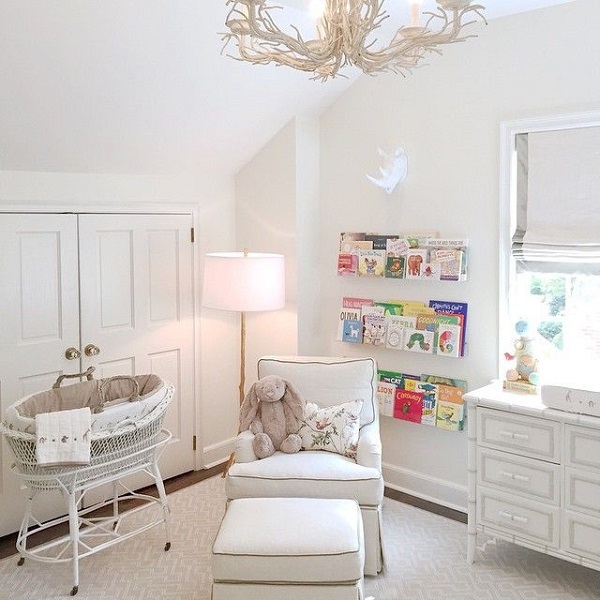 Here is another soothing nursery space- I love the natural wood chandelier, and the changing table with the faux bamboo legs looks a lot like my new dresser! 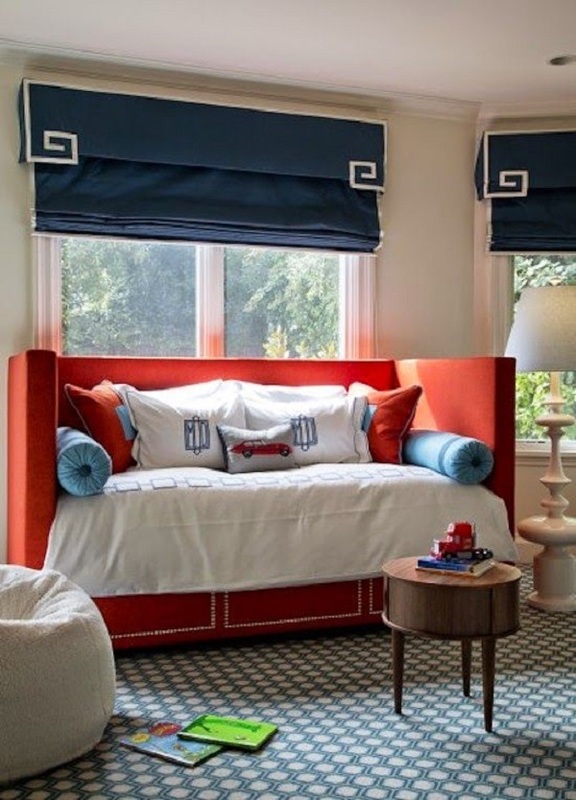 I love the details of this upholstered bed. The slight sides on the base and headboard create an interesting look. 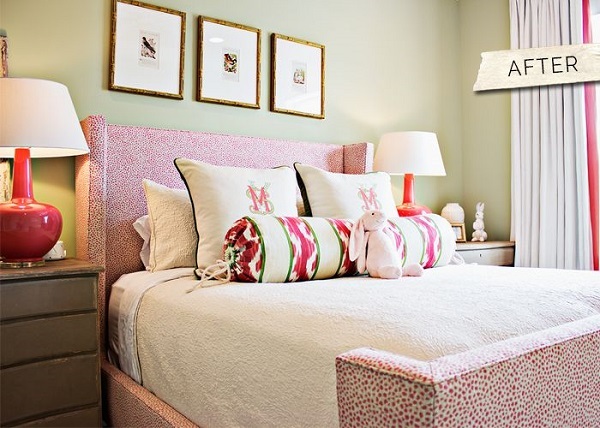 The touches of pink and green work nicely together! I would happily take this room now! 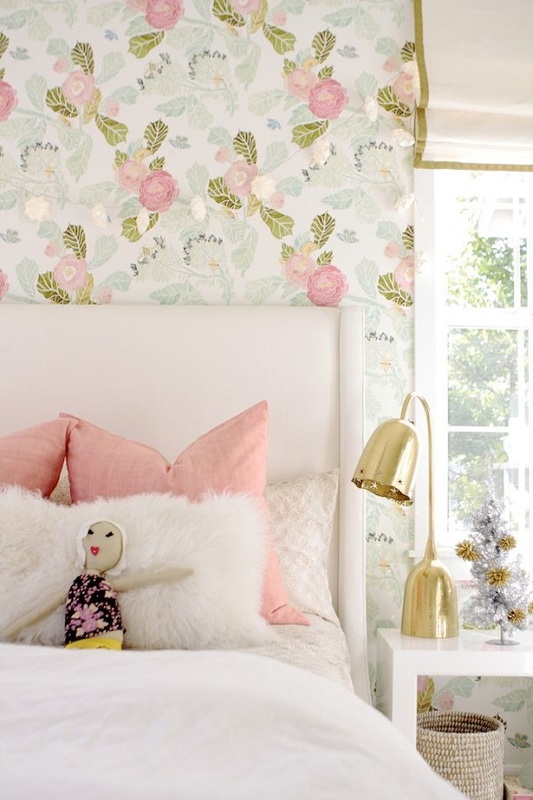 Kid's rooms deserve to be chic, too- don't you think? Any idea what the gray paint color is in the first photo? Such a beautiful room. Although my nursery days are long past, I am anxiously awaiting the arrival of the Royal baby! Very nice. Just a few small changes, such as replacing the thick curtain, sealing the gaps ... To make room in your home significantly less cold. !